Toyota will look to break into the residential game after receiving endorsement by the City of Melbourne for their proposal to develop 1000 new apartments. The proposal included a four-tower apartment project over its dealership just outside the CBD. 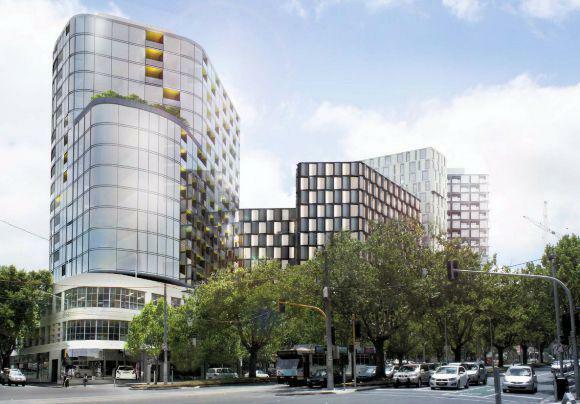 Toyota Australia Motors Into Apartment Development In Melbourne]The plans were earmarked for residents and student accommodation and will now go to the state government for a final decision, according to the Australian Financial Review. The AFR said Toyota appointed Sydney-based developer Lefta Corporation to handle the project which has an estimated construction cost of $208 million. “The proposal stretches over Toyota's dealership and car yard along Elizabeth Street just outside the old city grid and two blocks up from the bustling Queen Victoria Market precinct,” they said. The tallest tower in the proposed four-tower development will comprise 19 levels made up of 310 apartments, 698 student units, gym and 5200 square metres of commercial space. The project was designed by SJB architects and will include a new laneway between Elizabeth and O'Connell streets. The site includes the heritage-listed Melford Motors building, a three-storey property completed in 1928, the AFR said. Toyota reportedly received a heritage permit for its plan to incorporate the historic Melford Motors showroom into the broader project. The heritage permit was granted after Toyota modified its plans in discussion with city council planners, reducing the number of apartments and height of one tower. The AFR said large properties occupied by longstanding car dealerships around the CBD have been swallowed up by the apartment boom in recent years, like the City Ford site which was bought out by the University of Melbourne.